Eastern Australia stands to possibly lose one of its greatest environmental and heritage assets, and many of us are not even aware of it. To those not familiar with what “stock routes” or “stock reserves” (SRs) are, they are basically linear strips of vegetation, or small reserves, set aside in the early days of pastoralism to allow drovers to transport livestock from ‘a’ to ’b’ before trains or trucks came along.To make life easy, these routes often followed the path of least resistance in the landscape, i.e. the low-lying bits, which often also happen to be the preferred trails of choice for indigenous people. Because of this, many stock routes hold special meaning (and sites and objects) for Indigenous people. They also harbour some of best remnants of the ecosystems otherwise preferentially cleared, levelled and flogged since European colonisation – woodlands and grasslands in particular. 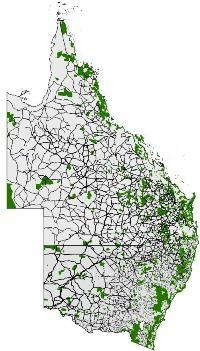 To add to this, part of the problem is the continued perception that Qld and NSW stock routes are separate things. Administration-wise, they may be, but physically, and for all other means and purposes, they’re not. I’ve provided a map here to illustrate this point: as you can see, they link up quite nicely. But more importantly, another very important consideration becomes blindingly obvious when you look at stock routes this way: connectivity! The concept of connectivity, and corridors more generally, has been around for decades. Should we set aside vegetation in the landscape to allow species to disperse between patches and reserves? Especially if species are going to be forced out of their current cosy distributions as the effects of climate change start to take hold? The federal government seems to think so: it’s just dedicated $10 mil to the National Wildlife Corridors Plan. However, corridors are not always a popular option; because they are linear they may be susceptible to ‘edge effects’, and investment in larger, more contiguous reserves may be better for conservation. The debate on this issue continues. Iirrespective of whether you think connectivity is a worthwhile investment, what needs to be said is that stock routes are ALREADY THERE! No extra money needed to buy them, or restore them. No need to pay a farmer to manage them in a more sympathetic manner. You just need to go to the effort of NOT selling them, and manage them as they have been since the 1880’s. It would seem that even this is asking too much. 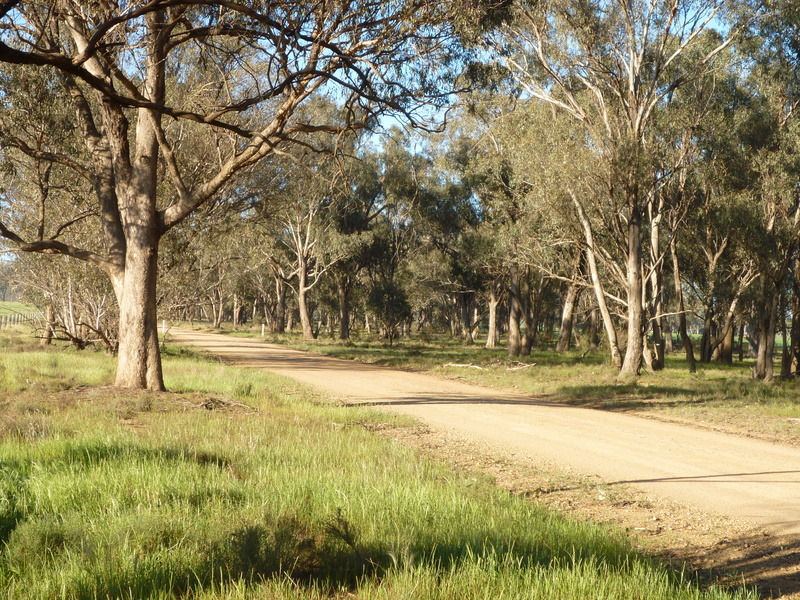 After a review of the management of the NSW stock routes in 2008 under the Labour government, it was recommended that these precious parcels of land be handed back to what was then the Department of Lands for potential sale. Turmoil and turnover in the NSW government has since spared them of this fate, but now yet another review of the LHPA system, under which stock routes fall, has been announced and their future is once again uncertain. The management of stock routes may be contentious, because their multiple-use nature means a delicate balance between conservation, grazing and recreation must be reached. However, sale to private enterprise is surely not the solution for such a valuable public asset. If you also feel that this natural infrastructure should not be disposed of, and that the stock rote network should remain as one and continued to be managed by a single authority, I would encourage you to make a submission to the LHPA enquiry. Details can be found here, and the deadline for submissions is the 30th September 2011. Following on from the scientists statement, we recently published a comprehensive literature review on the value of the stock routes: Lentini, P. E., Fischer, J., Gibbons, P., Lindenmayer, D. B. and Martin, T. G. (2011) Australia’s Stock Route Network: 1. A review of its values, and implications for future management. Ecological Management & Restoration 12, 119-127. We have also demonstrated how stock routes follow low-lying portions of the landscape: Lentini, P. E., Fischer, J., Gibbons, P., Lindenmayer, D. B. and Martin, T. G. (2011) Australia’s Stock Route Network: 2. Representation of fertile landscapes. Ecological Management & Restoration 12, 148-151. Great blog – and timely, too. I will encourage anyone I know to consider making a submission to this review. If the stock route network is sold off it shows how impotent and disconnected our conservation science sector is.